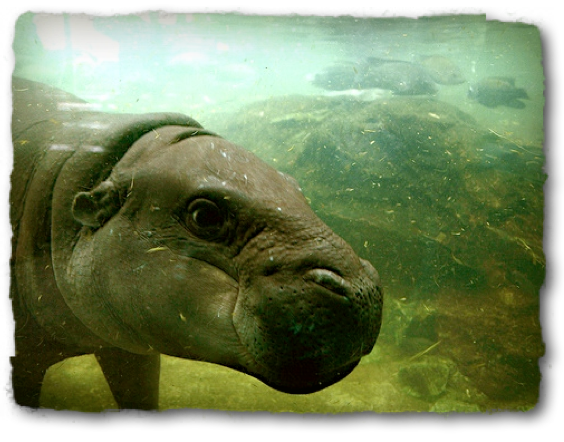 Hippos in general are just silly-looking, don't you think? Those constantly flicking ears, the rounded noses and squat bodies. And just seeing all those hippo eyes in a lake is funny. But hippos are actually no laughing matter...like the rhino, they are in the top 10 for most dangerous animal in the world. They can attack unprovoked, overturn vehicles, gore with their tusks, and trample things underfoot. Yikes! 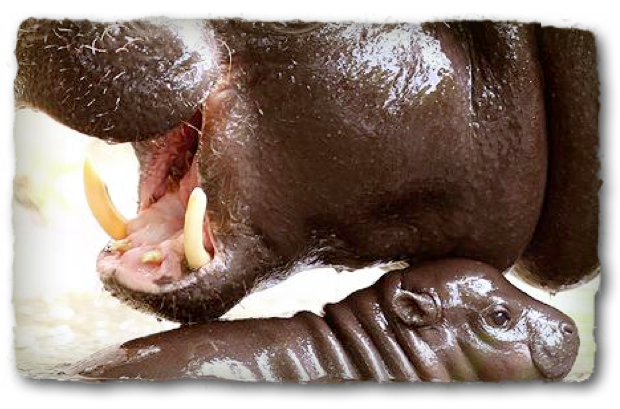 So be careful of hippos, even Pygmy ones; take a look at those tusks on the Pygmy hippo below. 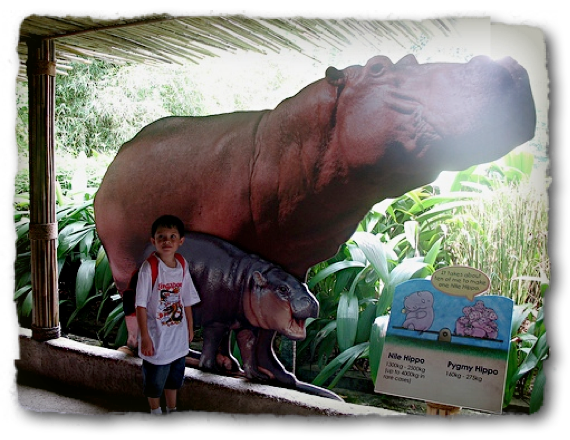 Early explorers didn't know Pygmy hippos were hippos; they saw short, round, tusked creatures in the forest and thought, "Mmmm, wild pig." They were a favorite of hunters because, according to native Africans, these "wild pigs" tasted much better than other wild pigs! In the late 1800s, however, scientists finally identified these creatures as hippos. 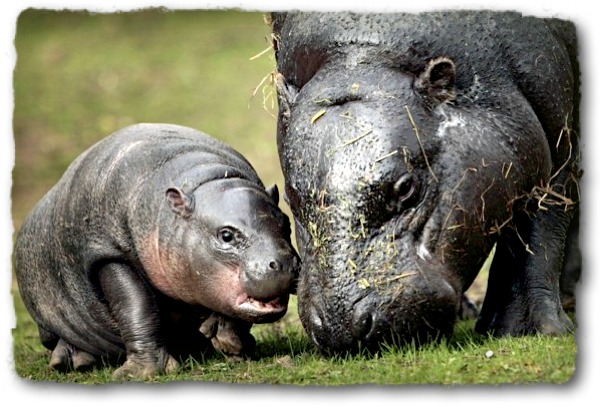 Today, Pygmy hippos are rare, living in the forests of West Africa. They hide in the rivers during the day, sometimes under river banks or large burrows, then come out to find fruit and fern leaves at night. So really, you'll never see a bunch of Pygmy hippo eyes looking at you from a river or lake, because, unlike their huge cousins, Pygmies like to live alone. 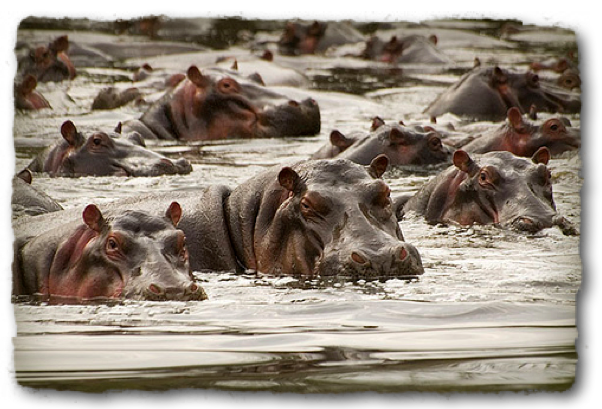 Did you know it would take 10 Pygmy hippos to make a common hippo? 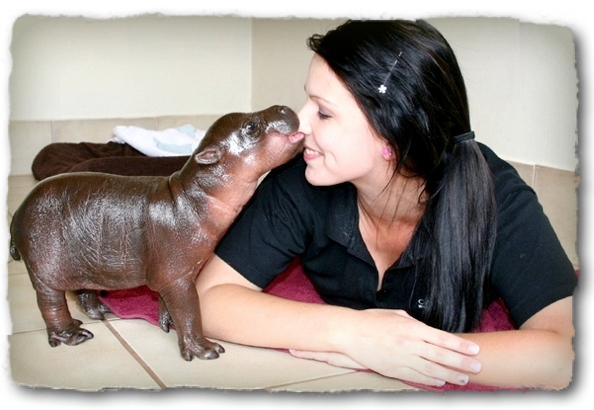 There are only about 3,000 Pygmy hippos in the world today. They're losing their forest habitats quickly, so growing the population in zoos is important. But for some reason, males are born way less often than females. Now take a look at Sapo...a little guy very important to recovering the Pygmy hippo population. So, grammatically, which do you think is correct, hippopotamuses or hippopotami? Ha ha...they're both correct :) But if you want to sound really smart, just call them by their family name; hippopotamids! I know I say this every time... But I want one... the babies are just so cute! Yes, sweating pink is a hippopotamus trait...so if you see a pink hippo, you aren't crazy! They look prehistoric! I love your posts!